There’s no question that some of this boom has been driven by the on-going demand for school and early years places. For pre-school education providers in particular, pressure has been mounting since the announcement that the number of "free hours" care for three and four-year-olds is set to increase to 30 hours. For many parents and caregivers, this will be welcome news indeed, but the news has left many local authorities questioning their ability to meet demand. A recent report from the Family and Childcare Trust stated that only a third of local authorities said there would be enough places through current early years provision. Some early years providers are addressing this challenge by extending. In other cases, new, specific early years buildings are being created on-site, or with affiliation to, specific primaries; adding extra flexibility to address increased numbers and need for diverse spaces. Timber has proven itself to be the construction method of choice for many, for a multitude of reasons. Here, we examine some of the suitabilities of timber for this purpose and look at timber in practice at Wilkinson Primary School. There is growing evidence to suggest that diverse learning spaces are beneficial to a child’s education and overall mental well-being. At a young age, when education is still centred very much on learning through play, timber classrooms are offering a creative, engaging environment perfectly suited to this preparatory stage of education. Aesthetically playful, timber’s ability to blend seamlessly into greenery and surrounding nature makes it a great addition to existing recreational space. When customised with bi-fold doors, canopies and green roofs, these buildings can make idyllic early years settings. 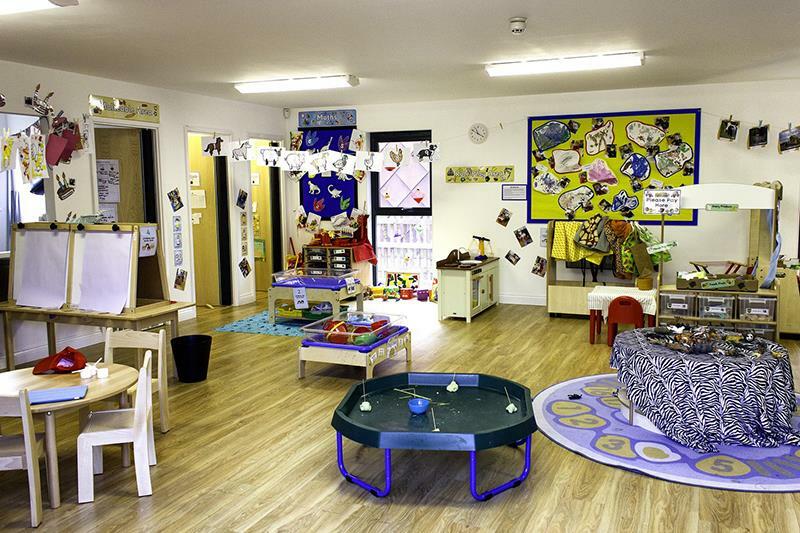 Wilkinson needed a self-contained nursery space which could house a range of facilities, expand on the school’s existing offering and meet the demands of many little hands day in and day out. The new building had to be fun, exciting, spacious and work within the school’s grounds, without compromising the other recreational areas. A timber build was perfect for this brief – customisable and secure, the space is fun and safe without impeding on the school’s existing features, visually or practically. To keep this build as geared to its young users as possible, the indoor space is largely open plan and benefits from folding doors to connect to outdoor learning and play areas via a ramp. Warmer months allow the children to move freely around their recreational spaces in a secure environment. “The large space is our favourite part. We are so pleased with the finished product.” Mrs Gibbon, Headteacher. Bearing in mind the local authority position on servicing demand for free funding places, steps will need to be taken to meet this surge. Timber buildings offer a more budget and time friendly alternative to traditional builds. With cost such an important factor for the public sector, schools and nurseries have to spend wisely for the best outcome and this is why timber buildings are becoming the go-to option. They look great, perform excellently and come in cheaper by a good margin. 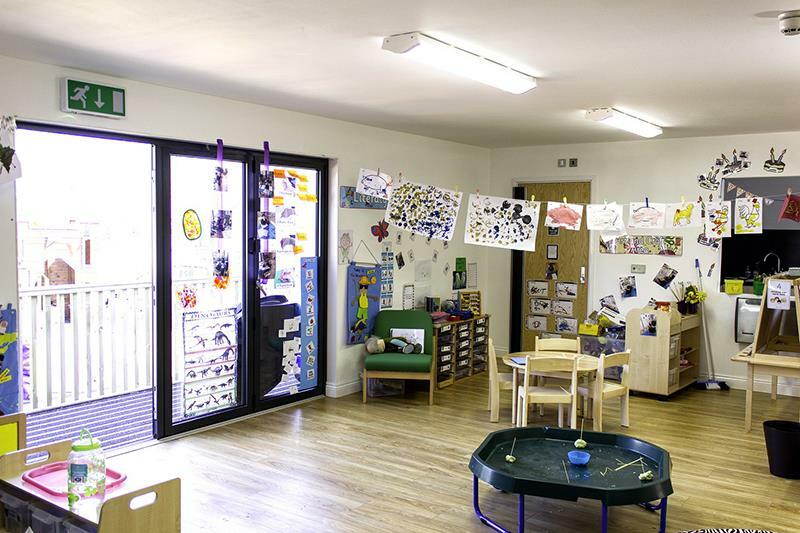 By ensuring a certain level of energy efficiency, early years providers may be eligible for funding to help bring their project to fruition. Securing the funding for a project can be the difference between it going ahead or not and this makes timber a strong option. Timber being a sustainable material makes all projects built with it a more environmentally conscious option. Early years providers looking to construct in timber should research companies that are able to offer a complete design to completion service; this will ensure there will be opportunities to discuss other energy-saving or environmentally conscious choices on offer for heating, lighting, insulation and on-going sustainability. People are increasingly looking into these new technologies, including ‘living roof’ options, as they serve not only as a potential cost-saving, greener method of creating and running a space, but also as a potential learning tool for the children, too. While it may not present a solution to every challenge facing modern schools and nurseries, timber certainly makes a case for itself as a product that delivers multiple benefits.